Usain Bolt has become the greatest ever sprinter, claiming a third consecutive Olympic gold medal in the 100m final this morning. In what many labelled the greatest night of Athletics ever, Bolt became the first man to win back-to-back-to-back Olympic gold medals in the 100m, adding to his gold medals from 2008 and 2012. An eleven-time World Champion, the current 100m, 200m and 4x100m relay world-record holder was outside his World record time of 9.58 seconds from 2009 and his time at London games in 2012, but a lightning quick time of 9.8 seconds was enough to get the job done. 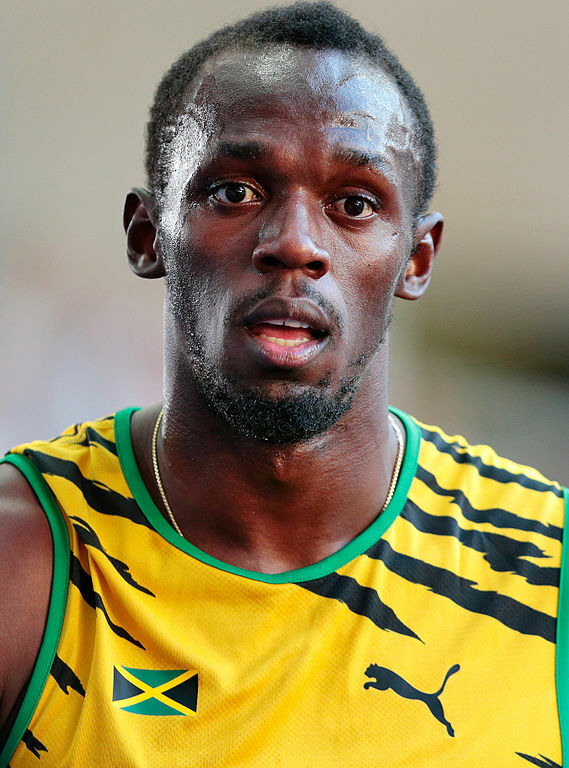 Bolt was slow out of the blocks and gave a head start to closest rival American Justin Gatlin. In typical Bolt style though, the long strides and true power shone through as he over-powered the American in the final 30 metres. Canadian Andre De Grasse was a surprise bronze medallist, finishing ahead of Bolt’s training partner Johan Blake. Rio 2016 is expected to be Bolt’s last appearance at an Olympic games and it will be some time before his incredible three-peat is bettered. Australian 800m semi-finalist Annaliese Rubie said the atmosphere was electric inside Rio’s track and field venue in anticipation for one of sport’s greatest nights. “You can feel the electricity when you walk on the track. Everyone is pumped for tonight,” Rubie said on Channel Seven’s Olympic coverage. Earlier this morning, Rubie finished 6th in her semi-final while fellow Australian Morgan Mitchell finished well outside her personal best in 8th position as neither were able to qualify for tomorrow’s final. The last Australian to do so was Cathy Freeman in 2000, who passed on some words of advice on the track. “She just said Go! I went a little too hard but I’m proud of myself. It doesn’t matter what anyone else thinks,” Mitchell told Channel Seven. In the Women’s 1500m, Australians Linden Hall, Zoe Buckman and Jenny Blundell all bowed out in the semi-finals. In the event previous to the men’s 100m final, South African Wayde Van Niekerk became the first man to win a 400m final from Lane 8, doing so in a world-record time of 43.03 seconds.